A first date is always awkward. Whether you choose to go to dinner, watch a movie, etc., there will always be awkward silences and the chance that the two of you will have nothing in common. Instead of choosing one of the stereotypical venues for your next date, mix it up a bit! 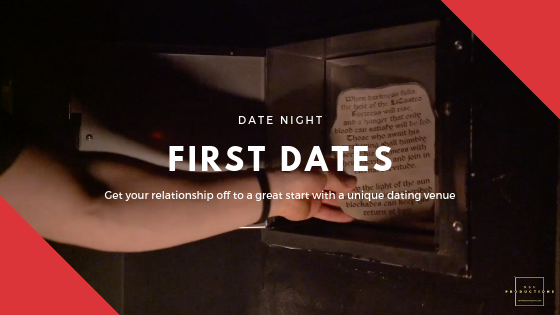 An escape room is a great venue for your next first date. An escape room puts you and your date in an environment where you will get to know your date in a fun and unique way. You will have to work together and communicate if you want to escape our room successfully. Put your brains together and see if you have what it takes to be a great escape team! Are you ready to plan your next date? Reserve your room with us today!